Its not a European gourmet machine Rick, what would you expect from the writers and reviewers? I think you will enjoy this if you haven't already seen it. Great video. 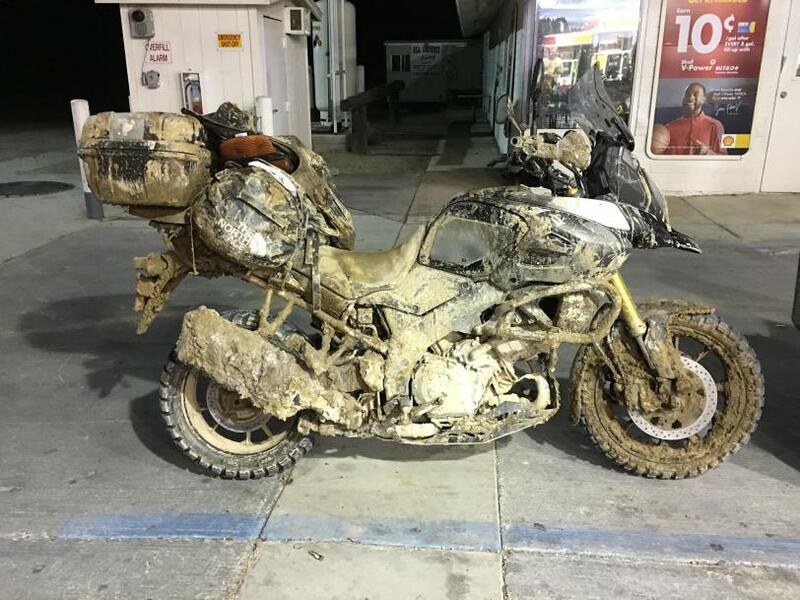 That is what an adventure bike is for. The V-Strom's designers nailed the compromise between dirt and street in my opinion. I think your right. The writers have to have to focus on what sells magazines and gets website traffic for advertising revenue. There is no doubt that most people would consider me potentially biased, but if I had to have just one bike I would not choose the AT over the Vee2 or Vee3. Too much of my adventure time is spent of twisty roads, cross country, and with the Mrs. aboard. The AT trails the Vee2 in those areas. Yeah my Strom has gotten plenty dirty. Bike does just fine in many off road and rutty situations. Throw a TKC 80 on the front and and K60 on the back and you are good to go. Mind you....this particular trip to the Mojave in January might have been a tad too much. Live and learn.